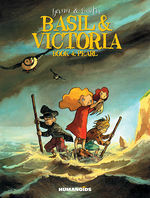 Omnibus edition includes all 5 volumes of the series. Available in the UK in April 2014. 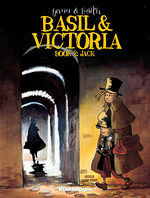 "Basil & Victoria" is a comic that delivers in its premise and continues to surprise it's reader. Stories that will leave you breathless and wanting more after you're done reading them. 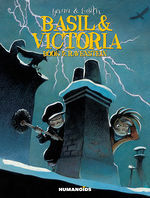 “Basil and Victoria” seems to refuse to be one thing, allowing for a multi-layered read. The art is tremendous and helps Yann make his points quite well. 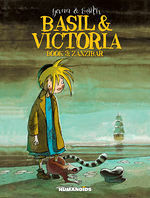 Yann’s writing is very clever, particularly with regard to the growth of the leading characters, and displaying its their circumstances that shape them. 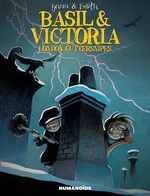 Removed from London they become more likeable people, and there’s an innocence in their dealings with overseas societies. 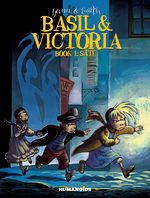 Overall Basil & Victoria is five excellent adventure stories deserving of a wider audience.